Under the sea there is a Mermaid of golden locks and printed frocks. 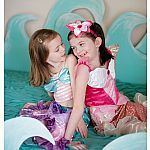 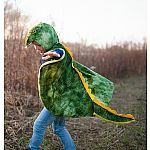 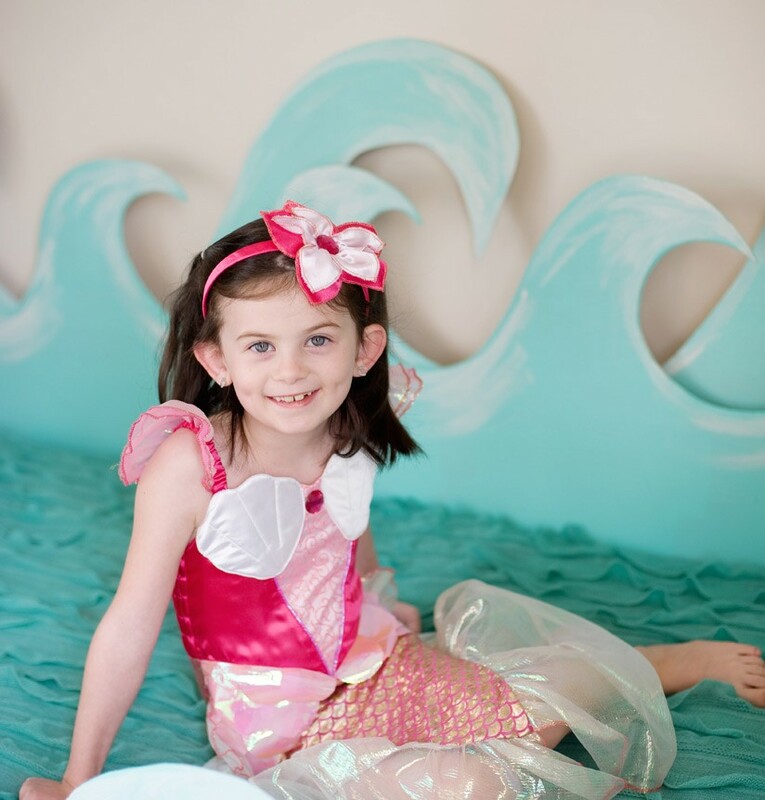 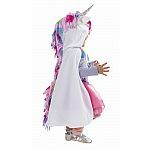 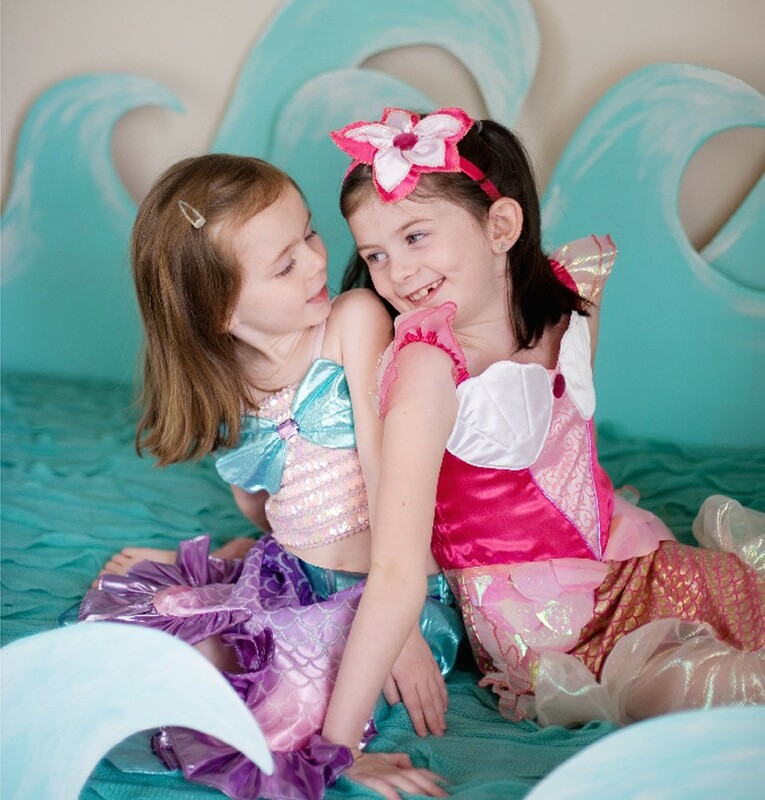 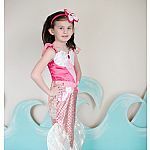 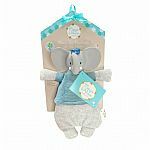 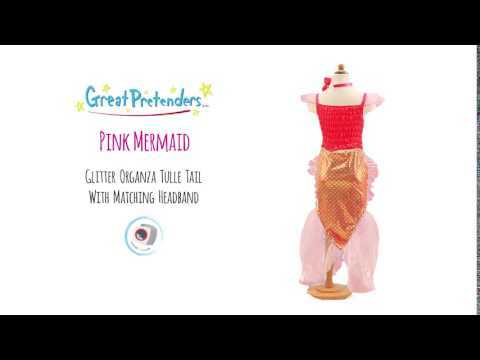 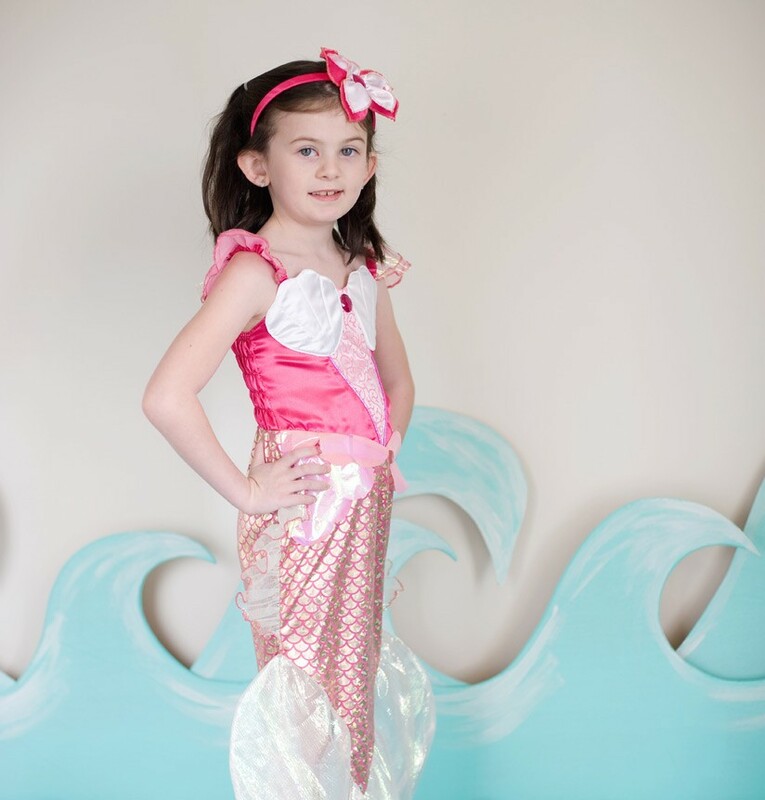 This little Mermaid has organza fins and a satin top with detailed shell stitching. 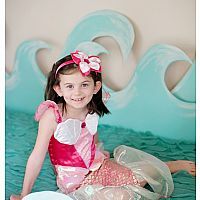 What completes her look is her matching head band.